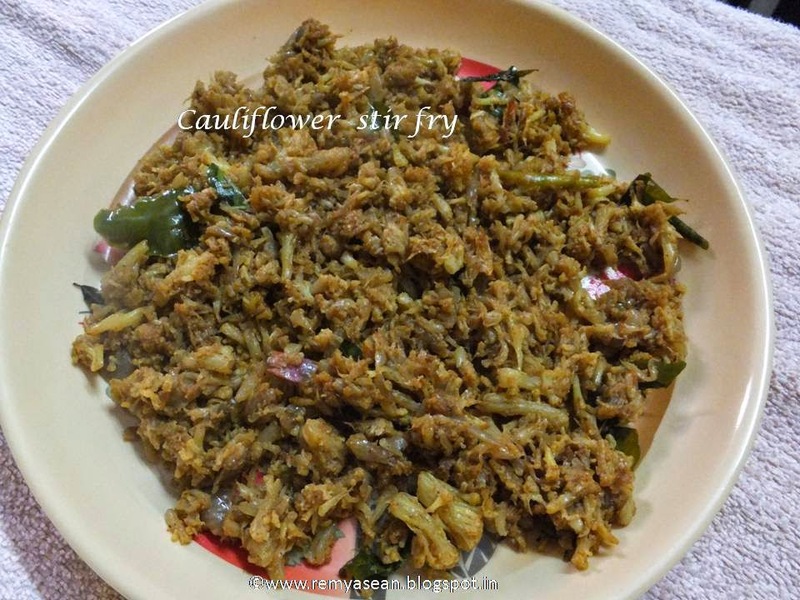 Easy to prepare cauliflower fry recipe. Enjoy it with chapathi or rice. Boil water with turmeric and salt. Separate the cauliflower florets and keep it in boiling water for 5 minutes. Drain it and set aside. Crush both ginger and garlic. Heat a pan with oil and add crushed ginger and garlic. Sauté it well till the raw smell leaves. Add chopped onion and sauté well. Keep the stove on a low flame for 3 minutes. Now open the pan and fry it well. 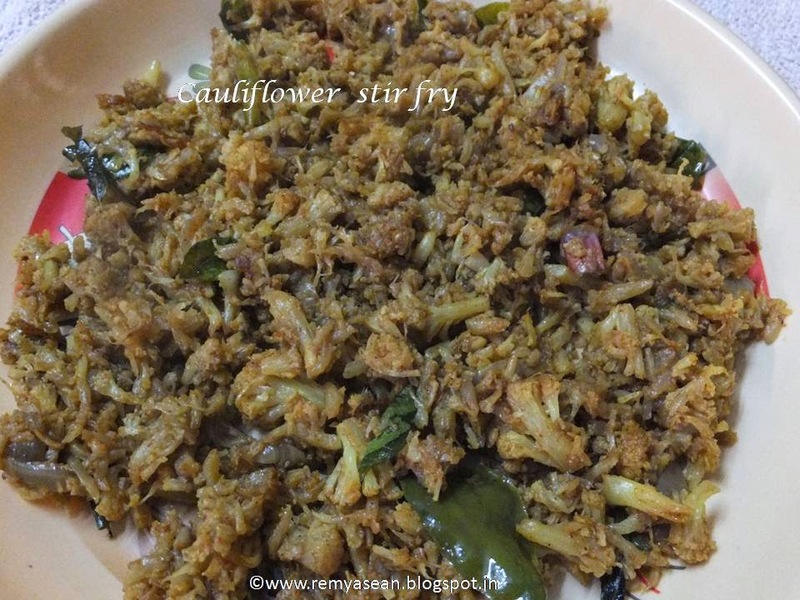 Easy to make tasty cauliflower fry. Love to eat with rice. Interesting; I would love to try out.